The Lawrence University Intercollegiate Athletic Hall of Fame gets six new members this fall. Basketball stars Chris Braier and Claire Getzoff and track standout Kolade Agbaje-Williams, all from the class of 2006, are joined by volleyball star Lis Pollock and soccer standout Katie Wilkin, both from the class of 2003. 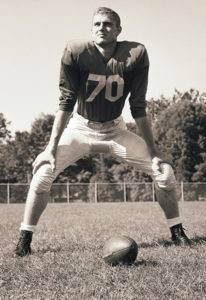 Rounding out the group is the late Stan Preston ’55, who was a four-time All-Midwest Conference selection in football. The Hall of Fame induction takes place on Oct. 14 at the Warch Campus Center. To purchase a ticket for the Hall of Fame dinner, contact the office of Alumni and Constituency Engagement at 920-832-6854. The cost of the dinner is $25. Kolade Agbaje-Williams stands alone in Lawrence University track and field history. The native of Ilesa, Nigeria, is the only track athlete in school history to be an All-American indoors and outdoors in the same year. It was a feat he pulled off in the long jump in 2003. In addition to the All-America honors, Agbaje-Williams was an eight-time Midwest Conference champion and was named an Outstanding Performer at the Midwest Conference Championships five times. Agbaje-Williams, who graduated from high school in Evergreen Park, Ill., set a pair of Lawrence records individually and ran on four record-setting relay teams. 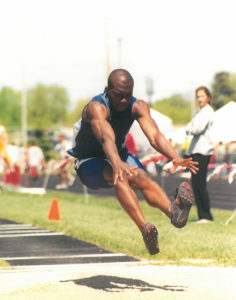 A winner of multiple Midwest Conference Performer of the Week awards, Agbaje-Williams was the conference’s indoor champion in both the long jump and triple jump in 2003. He also set the Lawrence indoor records with a leap of 23 feet, 10.75 inches, in the long jump and 46-3.25 in the triple jump during the 2003 season. Agbaje-Williams capped his 2003 indoor season by taking sixth in the long jump with a leap of 22-5 at the NCAA Championships. After sweeping the titles in the long jump and triple jump at the Midwest Conference’s outdoor championships in 2003, Agbaje-Williams went to the NCAA Championships and finished eighth in the long jump with a leap of 22-9 to earn All-America honors again. Agbaje-Williams followed that season in 2004 by winning the conference’s indoor title in the triple jump at 45-9.75 and taking the outdoor title in the long jump at 22-7.25. Agbaje-Williams claimed two more conference titles over his final two seasons. He took the 2005 crown indoors in the long jump at 22-3, and then grabbed first indoors in the 2006 triple jump at 45-10. Agbaje-Williams earned Outstanding Field Performer at the conference’s indoor championships in 2003, 2004, 2005 and 2006 and also took the honor at the 2003 outdoor meet. Agbaje-Williams also regularly competed in running events and was a multiple placewinner at the Midwest Conference Championships in everything from the 55 meters to the 400. Agbaje-Williams also helped set four school relay records during his career. During indoor competition, he ran on the record-setting sprint medley relay (3:36.36), 4×200 relay (1:33.78) and 4×400 relay (3:30.27). In outdoor competition, he was part of the record-setting 4×100 relay team (43.38 seconds). Agbaje-Williams, who is a licensed certified public accountant and certified fraud examiner, works as the examination manager at the National Futures Association. He and his wife, Seun, live in Oak Lawn, Ill., and have a daughter, Tiwa. 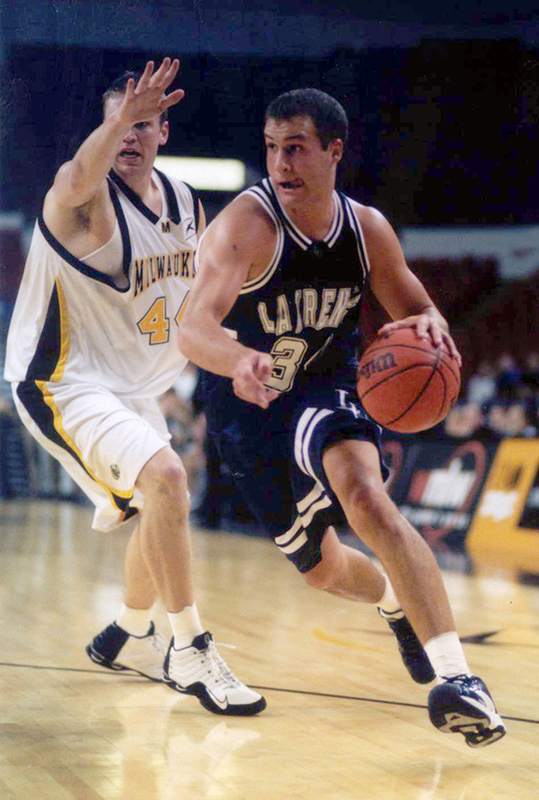 Chris Braier propelled Lawrence University men’s basketball onto the national stage and stands as the greatest player in school history. The native of Wauwatosa, Wis., won the Jostens Trophy as the top player in NCAA Division III, was a three-time All-American and is Lawrence’s career leader in scoring and rebounding. Braier scored 1,565 points and grabbed 1,267 rebounds and is the only player in Midwest Conference history to top 1,000 points and 1,000 rebounds. Braier averaged 14.9 points and 12.1 rebounds over his career and possessed a superlative all-around game. Relentless around the basket and on the glass, Braier could also step out and knock down a 3-pointer. He posted career highs of 45 points and 24 rebounds in two different games against Grinnell College. An outstanding passer, Braier ranked fourth with 266 assists when he graduated. He remains second on Lawrence’s career list with 180 steals. Braier was a four-time first-team All-Midwest Conference selection. He played on three Midwest Conference championship teams (2003-04, 2004-05 and 2005-06), and those teams also won the Midwest Conference Tournament. 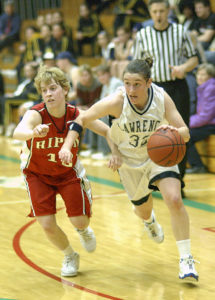 Braier, who played in the NCAA Division III Tournament three straight years (2004-06), was chosen as the Midwest Conference Player of the Year in 2004 and 2006. The 6-foot-4 forward won the Jostens Trophy in 2006 and picked up National Association of Basketball Coaches first-team and D3hoops.com third-team All-America honors that season. 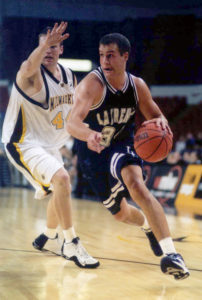 He also picked up D3hoops.com third-team All-America honors in 2004 and a fourth-team pick by D3hoops.com in 2005. Braier led Lawrence to the nation’s best record at 25-1 record in 2005-06. That squad was the last unbeaten team in the nation and became the first Lawrence team to earn a No. 1 national ranking. Lawrence went 22-0 in the regular season and reached the Sweet 16 of the NCAA Tournament. Lawrence also broke new ground during the 2003-04 season after the Vikings won the league title and conference tournament. The Vikings won three games in the NCAA Tournament to reach the Elite Eight before losing a one-point game in overtime to the eventual national champions. It is the deepest tournament run in Midwest Conference history. During Braier’s career, the Vikings posted a record of 87-18, and Lawrence’s 69-12 mark from 2003-06 was the best record for any team in the nation during that three-season stretch. Braier, who earned a degree in biology at Lawrence, works as a physician assistant at Illinois Bone and Joint Institute in Glenview, Ill. He is currently working toward his MBA from Kellogg School of Management at Northwestern University. He lives in Chicago. A prolific scorer and superlative all-around player, Claire Getzoff led the Lawrence University women’s basketball team to some of the best seasons in school history. A native of Evanston, Ill., Getzoff is Lawrence’s career scoring leader and was a four-time first-team All-Midwest Conference selection. Getzoff shattered the school’s scoring record and finished with 1,487 points for an average of 15.8 points per game. Getzoff is one of only three players in school history to be a four-time all-conference selection. Getzoff set the season scoring record with 408 points in 2002-03 and owns the top three scoring seasons in school history. She also set the season scoring average record of 18.1 points per game in 2003-04. A great shooter who also could drive to the hoop, Getzoff is Lawrence’s leader in field goals made (527) and attempted (1,255). She also is the school’s top 3-point shooter with 208 treys and still ranks second in shooting from beyond the arc at 37.3 percent. Getzoff holds the school record with seven 3-pointers in a game, a feat she pulled off twice. She buried a school record 67 3-pointers in 2003-04. Getzoff was a great scorer who poured in a career-high 30 points in back-to-back games during her senior season, and she excelled at other facets of the game. She finished her career with averages of 4.0 rebounds, 3.2 assists and 2.6 steals per game. Getzoff ranks third on Lawrence’s career list in both assists and steals. With Getzoff leading the way, the Vikings went 61-33 during her four seasons and qualified for the Midwest Conference Tournament three times (2003, 2005 and 2006). The 2005-06 team tied the school record for victories with a 19-5 record. Getzoff, who earned a degree in history and education at Lawrence, is a special education teacher at Evanston Township High School. Getzoff, who has a master’s degree in special education from Northeastern Illinois University, got married in 2016 to Lyndsay Gant. 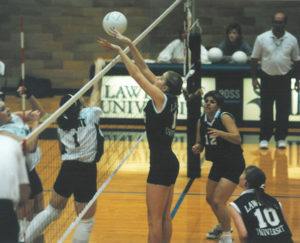 Lis Pollock stands as the most dominant player in the history of Lawrence University volleyball. A native of Urbana, Ill., Pollock was a three-time All-Midwest Conference selection and holds nearly every one of the school’s offensive records. A middle hitter, the 6-foot Pollock set eight school records and led Lawrence during the most successful era in school history. Pollock pounded out a school-record 1,595 kills during her career and set the school record with a .336 career hitting percentage. She also holds the career mark at 3.71 kills per set. An all-conference pick in 2000, 2001 and 2002, Pollock set the school record of 28 kills in a match (she did it twice) and had the top four match kill totals in school history when she graduated. Pollock set the match record with an .871 hitting percentage after 28 kills with just one error in 31 attempts against Edgewood College in 2002. The 2001 season saw Pollock set school records with 553 kills and an average of 4.77 kills per set. 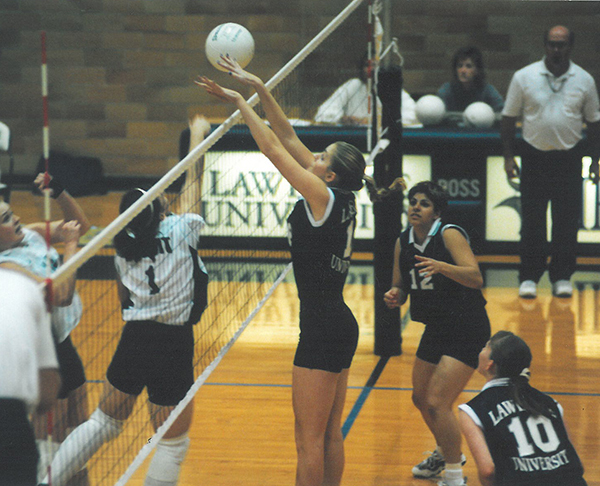 She finished her career in 2002 with a school record .423 hitting percentage. Pollock ranked second in career blocks with 259 when she graduated. Pollock was an offensive force that propelled Lawrence to its best season back in 2001. The Vikings posted a school record 19 wins and finished third in the Midwest Conference. During Pollock’s four seasons, Lawrence posted 56 wins. Pollock, who also won a letter in basketball, was a three-time Academic All-Midwest Conference selection and earned degrees in history and government at Lawrence. She earned her law degree from the University of Illinois College of Law, where she has returned to serve as an adjunct professor. Pollock is an assistant federal public defender for the Central District of Illinois. Pollock and her husband, Christian Ray, have two children, Gabriel and Tristan, and live in Urbana. Stan Preston was a dominant, multi-talented player who starred in an era of Lawrence University gridiron greatness. The native of Grinnell, Iowa, was a four-time All-Midwest Conference performer. A two-way player just as the era of ironman football was ending, the 6-foot-4 Preston was a two-time all-conference pick at linebacker and then was chosen two more times at center. Along with Lawrence All-American end Charles “Sal” Cianciola, Preston was one of the first two players to be named to the all-conference team as a freshman. He is one of only seven players in Lawrence history to be a four-time all-league choice. During his first two seasons, Preston, known as “Big Pres” to his teammates, was chosen as an all-conference linebacker in 1951 and 1952. The 1951 squad went unbeaten at 7-0 and claimed the Midwest Conference championship. The 1952 team won the first seven games of the season to push the Vikings’ winning streak to a school-record 14 games. The Vikings finally had its win streak snapped at Coe College but finished with a 7-1 record. Preston made the move to center for the 1953 season and had a big adjustment. A T-formation center in high school, he was now playing in Bernie Heselton’s single-wing attack, which is triggered by a snap several yards deep to one of the backs. Now blocking for superlative backs like Ed Grosse and Carl Stumpf, Preston earned all-conference honors on offense in 1953 and 1954. The 1953 Vikings went 6-1-1 to finish third in the league, and the 1954 squad was 6-2 and took second in the league. Preston helped the Vikings to a 26-4-1 record over his four seasons, including a 14-0-1 record in games at Whiting Field. Preston, who passed away in 2004, earned a degree in geology at Lawrence. After serving for a number of years in the United States Air Force, Preston worked with his father as the proprietor of Preston’s, a men’s clothing store in Grinnell. He then founded Atlas Wheel Weights in Atlanta, Ga., and ran that business until he retired to Monterey, Calif. Preston is survived by his wife, Patricia, five children and three grandchildren. Katie Wilkin (in yellow and black jersey) celebrates Lawrence’s victory in the 2001 Midwest Conference Tournament Championship Game. Katie Wilkin made the difficult save look easy and then made the saves no one else could make. Wilkin was a stellar goalkeeper for the Lawrence University women’s soccer team and led the Vikings to the greatest achievements in the program’s history. A native of Oregon, Wis., Wilkin was a Midwest Conference Player of the Year and a three-time All-Midwest Conference selection. Wilkin is the only goalkeeper to be chosen as the Midwest Conference Player of the Year (the league now selects an offensive and defensive player of the year). Wilkin was the 2002 conference Player of the Year and also earned first-team honors in 2001. She was a second-team pick as a sophomore in 2000. Wilkin compiled a 1.63 goals against average for her career to go with an .861 save percentage. Wilkin, who posted a career-high 28 saves vs. UW-Oshkosh in 2002, recorded 514 saves for her career and piled up a career-best 180 saves in the 2001 season. Wilkin set a school season record with a .909 save percentage in 2001 and also had a career-best 1.03 GAA during that season. Wilkin finished with 24-21-4 career record, and her 24 wins ranks second in school history. She posted 16 shutouts, and that also ranks second in school history. Her seven shutouts in 2001 are tied for Lawrence’s best season total. A team captain, Wilkin led the Vikings to the 2000 Midwest Conference championship. The Vikings also won the Midwest Conference Tournament that season to earn their first berth in the NCAA Division III Tournament. 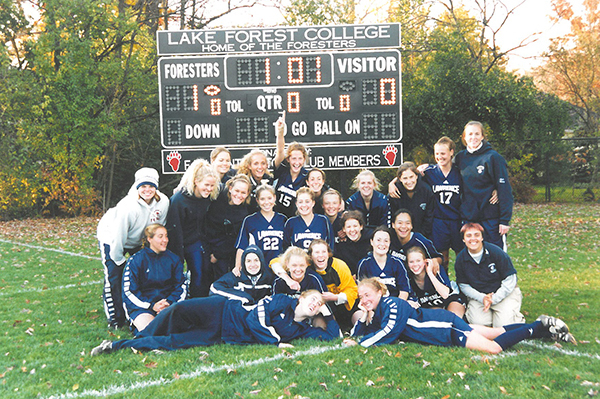 Lawrence took the Midwest Conference Tournament title again in 2001, and that team became the first in conference history to win a NCAA Tournament game. Wilkin, who earned a degree in studio art at Lawrence and a teaching certification from Edgewood College, teaches eighth grade in the Madison Metropolitan School District. She teaches math and works with students with a variety of disabilities at Sherman Middle School. Wilkin and her spouse, Lauren Lebwohl, live in Madison with their English Pointer. APPLETON, Wis. — More than 150 Lawrence University student-athletes have been selected for the Academic All-Midwest Conference team. The Vikings had 158 student-athletes meet the requirements for inclusion on the academic all-conference team. To be eligible for the team, a student-athlete must have a minimum 3.33 grade point average during the 2015-16 academic year. Six Lawrence teams hit double digits with more than 10 student-athletes being honored. The top Lawrence team was women’s swimming and diving, which had 19 student-athletes make the cut. The top men’s team was soccer, which had 16 student-athletes chosen. Max Edwards, Jr., Appleton, Wis./North; Mayan Essak, Fr., Milwaukee, Wis./Shorewood; Ethan Gniot, Jr., Ashwaubenon, Wis./Ashwaubenon; Josh Janusiak, Fr., South Milwaukee, Wis./South; Teddy Kortenhof, So., Portland, Ore./Lincoln; Alex Timpe, Fr., Lafayette, Colo./Dawson School. Kristen Bischel, Jr., Menomonie, Wis./Menomonie; Clare Bruning, Sr., Mondovi, Wis./Mondovi; Janey Degnan, So., Grosse Pointe, Mich./South; Molly Doruska, Fr., Ankeny, Iowa/Centennial; Margaret Huck, So., Kenosha, Wis./Tremper; Amy Hutchings, Jr., Ripon, Wis./Ripon; Kate Kilgus, Jr., Carmel, N.Y./Carmel; Hannah Kinzer, So., New Berlin, Wis./Eisenhower; Liz Landes, Sr., Westmont, Ill./Westmont; Sammi Jo Nixon, Fr., Wadsworth, Ill./Warren Township; Sierra Polzin, Sr., Denmark, Wis./Denmark; Isabella Schleisner, Sr., Hortonville, Wis./Hortonville; Erin Schrobilgen, So., Oak Park, Ill./Oak Park River Forest; Cora Williams, Sr., Brentwood, Calif./Liberty. Ryan Butterfield, Fr., McDonough, Ga./Strong Rock Christian; Cole Erickson, So., Appleton, Wis./North; Jake Gostisha, So., Appleton, Wis./East; Mitch Ives, Jr., Rhinelander, Wis./Rhinelander. Santiago Alvarez, Sr., Lima, Peru/Franklin D. Roosevelt; Lewis Berger, So., Belchertown, Mass./Belchertown; Nathan Brase, So., Salem Ore./South Salem; Harry Broderick, Jr., St. Paul, Minn./Central; Mike Deremo, Jr., Evanston, Ill./Evanston Township; Robert Desotelle, So., Sturgeon Bay, Wis./Sturgeon Bay; Landon Edwards, So., Sturgeon Bay, Wis./Gibraltar; Nick Huth, Jr., Kimberly, Wis./Kimberly; Chris Kiehl, Jr., Sheboygan, Wis./North; Joe Krivit, Jr., St. Paul, Minn./Como Park; Ryan Leonard, Fr., Christchurch, England/St. Peter’s; Sean Salansky, Jr., Parker, Colo./Legend; Taylor Reifert, Fr., Chicago, Ill./St. Ignatius Prep; Alex Shahbazi, Jr., Marquette, Mich./Marquette; Aaron Sutton, Sr., Ona, W.V./Cabell Midland; Gabe Warshaw, Sr., New York, N.Y./Beacon School. Rebecca Bernheimer, Fr., Vancouver, Wash./Columbia River; Lucy Brown, Sr., St. Paul, Minn./Cretin-Derham Hall; Lara Frankson, So., Oregon, Wis./Oregon; Greta Fritz, Jr., Belle River, Ontario/L’Essor; Liza Girsova, Sr., Hong Kong/Busan (South Korea) International; Patsy Kealey, Sr., New Rochelle, N.Y./Ursuline; Anne Leung, Sr., Albuquerque, N.M./Albuquerque Academy; Casey Merkle, Jr., Tower Lakes, Ill./Barrington; Melissa Rooney, So., Racine, Wis./Prairie; Eva Tourangeau, So., Denver, Colo./George Washington; Perrin Tourangeau, Sr., Denver, Colo./George Washington; Sarah Zaccarine, Jr., Hawthorn Woods, Ill./Lake Zurich. Emma Arnesen, So., Wheaton, Ill./Wheaton Warrenville South; Katie Frankel, Jr., Deerfield, Ill./Deerfield; El Goblirsch, Fr., Minneapolis, Minn./Holy Angels; Annie Harincar, Fr., Minneapolis, Minn./Washburn; Lindsay Holsen, So., Oconomowoc, Wis./Oconomowoc; Shang Li, So., Tianjin, China/Elgin (Ill.) Academy; Katie Nottberg, Fr., Loveland, Colo./Loveland. Cyra Bammer, So., Zionsville, Ind./Zionsville; Megan Conley, Sr., Elroy, Wis./Royall; Sydney Nelson, So., Crystal Lake, Ill./Central; Lauren Ray, So., Hales Corners, Wis./Whitnall; Sara Schliesman, So., Juneau, Wis./Dodgeland; Terese Swords, Sr., Evanston, Ill./Evanston Township; Claire Vinopal, Fr., Park Ridge, Ill./Maine South; Nicole Witmer, Fr., Plainfield, Ill./Joliet Catholic. Troy Miller, Sr., Lake In The Hills, Ill./Huntley; Jamie Nikitas, Sr., Glenview, Ill./Glenbrook South; Jeremy Stephani, So., Arlington Heights, Ill./Wheeling; Connor Weas, Jr., Whitefish Bay, Wis./Whitefish Bay. Lauren Deveikis, So., Naperville, Ill./Neuqua Valley; Patsy Kealey, Sr., New Rochelle, N.Y./Ursuline; Leah Reeves, Fr., Lisle, Ill./Lisle; Fanita Robins, So., Chicago, Ill./Providence St. Mel; Andrea Wilkinson, Sr., Racine, Wis./Lutheran. Max Edwards, Jr., Appleton, Wis./North; Mayan Essak, Fr., Milwaukee, Wis./Shorewood; Ethan Gniot, Jr., Ashwaubenon, Wis./Ashwaubenon; Josh Janusiak, Fr., South Milwaukee, Wis./South; Teddy Kortenhof, So., Portland, Ore./Lincoln; Dan Sandacz, Fr., McHenry, Ill./West; Alex Timpe, Fr., Lafayette, Colo./Dawson School. Clare Bruning, Sr., Mondovi, Wis./Mondovi; Janey Degnan, So., Grosse Pointe, Mich./South; Molly Doruska, Fr., Ankeny, Iowa/Centennial; Sage Greenlee, So., Fort Collins, Colo./Poudre; Margaret Huck, So., Kenosha, Wis./Tremper; Amy Hutchings, Jr., Ripon, Wis./Ripon; Hannah Kinzer, So., New Berlin, Wis./Eisenhower; Liz Landes, Sr., Westmont, Ill./Westmont; Sammi Jo Nixon, Fr., Wadsworth, Ill./Warren Township; Margaret Norby, Fr., Appleton, Wis./East; Brenna Ori, Jr., Portland, Ore./Woodrow Wilson; Sierra Polzin, Sr., Denmark, Wis./Denmark; Isabella Schleisner, Sr., Hortonville, Wis./Hortonville; Erin Schrobilgen, So., Oak Park, Ill./Oak Park River Forest; Cora Williams, Sr., Brentwood, Calif./Liberty. Christian Bell, Jr., Farmington, Minn./Farmington; Kaleb Cooperman, Sr., Warrenville, Ill./Wheaton Warrenville South; Jordan Spalding, Fr., Glenview, Ill./Glenbrook South. Rosemary Bauer, So., Elm Grove, Wis./Brookfield East; Eryn Blagg, So., Omaha, Neb./Millard West; Hayley Cardinal, Sr., Lombard, Ill./Glenbard East; Natalie Cash, So., Gilberts, Ill./Hampshire; Emily Flack, Sr., Edina, Minn./Edina; Elizabeth Garcia Creighton, Fr., St. Paul, Minn.; Rachel Gregory, Jr., Richardson, Texas/Plano East; Shelby Hader, So., Menomonee Falls, Wis./Menomonee Falls; Abby Kosberg, Sr., Wildwood, Ill./Warren Township; Sarah Loepfe, Sr., La Crescent, Minn./La Crescent; Tahnee Marquardt, Sr., Greven, Germany; Danielle Millin, Jr., Monona, Wis./Monona Grove; Delaney Olsen, So., Plymouth, Wis./Plymouth; Rebecca Schachtman, Jr., St. Louis, Mo./Ladue Horton Watkins; Sarah Schweickart, Fr., Loveland, Colo./Loveland; Haedyn Smith., Sr., Antioch, Ill./Antioch; Anna Vogel, So., Oak Park, Ill./ Oak Park River Forest; Paige Witter, Jr., Denver, Colo./Washington; Emmi Zheng, Fr., St. Louis Park, Minn./St. Louis Park. Kyle Duex, So., River Falls, Wis./River Falls; Cole Erickson, So., Appleton, Wis./North; Brandon Klar, Jr., University City, Mo./Mary Institute and St. Louis Country Day; Adam McDonald, Jr., Chesterfield, Mo./Parkway Central; Anthony Ortiz, So., Bridgeview, Ill./Illinois Math and Science; Travis Weber, So., Evanston, Ill./Loyola Academy. Nigel Schuster, Jr., Dusseldorf, Germany. Jessica Demski, Sr., Gurnee, Ill./Warren Township; Tierney Duffy, Sr., North Riverside, Ill./Riverside-Brookfield; Maddie MacLean, Fr., Arlington, Wash./Arlington; Katie Schumacher, Sr., Little Chute, Wis./Little Chute. David Brooker, Fr., Appleton, Wis./North; Adam Busch, Sr., Hales Corners, Wis./Greendale Martin Luther; Brian DeCorte, Sr., Southampton, Pa./William Tennent; David Jumes, Jr., Appleton, Wis./Xavier; Ethan Perushek, Sr., Maple Grove, Minn./Benilde-St. Margaret’s; Ben Tomhave, So., Cloquet, Minn./Cloquet. Eryn Blagg, So., Omaha, Neb./Millard West; Clare Bruning, Sr., Mondovi, Wis./Mondovi; Hayley Cardinal, Sr., Lombard, Ill./Glenbard East; Janey Degnan, So., Grosse Pointe, Mich./South; Molly Doruska, Fr., Ankeny, Iowa/Centennial; Margaret Huck, So., Kenosha, Wis./Tremper; Amy Hutchings, Jr., Ripon, Wis./Ripon; Hannah Kinzer, So., New Berlin, Wis./Eisenhower; Liz Landes, Sr., Westmont, Ill./Westmont; Margaret Norby, Fr., Appleton, Wis./East; Isabella Schleisner, Sr., Hortonville, Wis./Hortonville; Erin Schrobilgen, So., Oak Park, Ill./Oak Park River Forest; Cora Williams, Sr., Brentwood, Calif./Liberty. APPLETON, Wis. — More than a dozen Lawrence University student-athletes recently received awards at the 2016 Honors Celebration. The awards and winners are as follows. The Ruth Bateman Award is given for excellence in scholarship, athletic ability and leadership by a female athlete. Senior softball player Tierney Duffy (North Riverside, Ill./Riverside-Brookfield) won the award after finishing her career with a .347 batting average. A starting outfielder for four seasons, Duffy was an All-Midwest Conference and All-Great Lakes Region selection in 2016. The co-chair of Lawrence’s Student-Athlete Advisory Committee, Duffy was a leader in organizing the inaugural BLUCrew Awards, helped raise $13,000 with the Special Olympics Polar Plunge and worked with the Kids Give program. Duffy has a 3.6 grade point average and is a member of the Academic All-Midwest Conference team. The Iden Charles Champion Cup is given for excellence in scholarship, athletic ability, college spirit and loyalty. Senior hockey player Renato Engler (Davos, Switzerland) served as the team captain and was a two-time Northern Collegiate Hockey Association All-Academic team member. Engler led the team in 2015-16 with nine goals and 16 assists for 25 points and recently signed to play professional hockey in his native Switzerland. The Outstanding Freshman Athletic Award for Men is given the freshman man who has made the most outstanding contribution to Lawrence athletics. 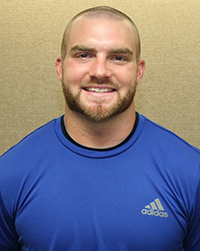 Football player Ryan Butterfield (McDonough, Ga./Strong Rock Christian) was the team’s starting quarterback. He completed 85-of-164 passes for 967 yards, nine touchdowns and four interceptions. He also ran 82 times for 549 yards and three touchdowns. Butterfield was named the Midwest Conference Offensive Player of the Week and was chosen as the USA College Football Rookie of the Week. He posted the first 200-plus yard rushing game for the Vikings since 2002 and posted the longest touchdown run (79 yards) by a quarterback in school history. The Outstanding Freshman Athletic Award for Women is given to the freshman woman who has made the most outstanding contribution to Lawrence athletics. Outside hitter Arianna Neumeyer (Manitowoc, Wis./Lutheran) was an All-Midwest Conference selection for the Lawrence volleyball team. She led the team with 215 kills and at 2.42 kills per set. Neumeyer also finished second on the team with 25 aces and was third with 282 digs. The Ralph V. Landis Award was established by the Lettermen of Lawrence in honor of Dr. Landis, physician to Lawrence students from 1926-78, and is awarded for outstanding contributions to Lawrence athletics by a senior male athlete. Senior men’s basketball player Jamie Nikitas (Glenview, Ill./Glenbrook South) was a first-team All-Midwest Conference selection and one of 10 national finalists for the Josten’s Trophy, given annually to the top player in NCAA Division III. Nikitas finished in the top 10 in the nation in scoring at 25.1 points per game and broke Lawrence’s season scoring record with 577 points. He was the only player in the Midwest Conference to finish in the top seven in scoring, rebounding, assists and steals. Nikitas was named the United States Basketball Writers Association Player of the Week, was chosen for the D3hoops.com Team of the Week and was twice named Midwest Conference Player of the Week. The Charles E. Pond Award for Women is given for all-around athletic ability by a senior woman in two or more sports and for sportsmanship, school spirit and scholarship. Swimmer and track athlete Hayley Cardinal (Lombard, Ill./Glenbard East) was a multiple Midwest Conference champion for the Vikings. In the pool, Cardinal won the 100-yard breaststroke in 2014 and took titles in both the 100 and 200 breaststroke in 2016. Cardinal, who made an NCAA “B” cut three times, holds the Lawrence records in the 100 and 200 breaststroke and the 200 individual medley. She also is part of the 200 and 400 medley relay teams. Cardinal is a member of the Academic All-Midwest Conference team and served as the swim team captain. She also run the hurdles and relays for the Lawrence track team. The Marion Read Award is given for outstanding contributions to Lawrence athletics. Softball shortstop Amanda Jaskolski (Shawano, Wis./Shawano) capped her career by earning first-team National Fastpitch Coaches Association All-America honors. A two-team All-Great Lakes Region selection, Jaskolski was a career .439 hitter with 17 doubles, two triples, 19 homers and 76 runs batted in. She holds Lawrence season records for hits (54), RBIs (46), runs scored (37) and homers (13). Jaskolski was a two-time Midwest Conference Player of the Year and hit .462 with 13 homers and 46 RBIs as a senior. LA CROSSE, Wis. — Clare Bruning and Josh Janusiak both grabbed third-place finishes Thursday at the NCAA Qualifier at UW-La Crosse. Bruning raced to third place in the 5,000 meters in 19:19.51. Teammate Hannah Kinzer grabbed fifth place with a time of 19:28.55. In the men’s 5,000, it was Janusiak in third with a time of 15:31.55. Senior Jordan Atkins posted a seventh-place finish with a time of 16:09.05. APPLETON, Wis. — The first BLU Crew Awards will be selected Friday evening at the Warch Campus Center. The inaugural event is sponsored by Lawrence University’s Student-Athlete Advisory Committee (SAAC). SAAC will hand out 12 awards to its fellow Vikings and announce the All-Viking Team. MOUNT VERNON, Iowa — Hayley Cardinal and Ethan Gniot paced the Lawrence University track teams at the Midwest Conference Championships Saturday at Cornell College. Both Cardinal and Gniot claimed sixth-place finishes in the final day of the meet at Ash Park. Cardinal took sixth in the 400-meter hurdles in 1:11.23. Janey Degan placed eighth in the pole vault for the Vikings with a height of 8 feet, 0.5 inches. Degnan also ran with Cardinal, Erin Schrobilgen and Amy Hutchings on the 4×400 relay team that took seventh in 4:20.77. The Lawrence women finished 10th in the team standings with six points. St. Norbert won the team title with 236. Gniot led the Lawrence men by taking sixth in the 800 meters in 1:59.62. Josh Janusiak, coming off a second-place finish in the 10,000 on Friday, took seventh in the 5,000 in 15:56.42. The Lawrence men finished ninth with 20 points. Monmouth won the team title with 193. MOUNT VERNON, Iowa — Josh Janusiak’s grabbed second place in the 10,000 meters Friday to pace the Lawrence University track teams on the opening day of the Midwest Conference Championships. Running at Ash Park at Cornell College, Janusiak, a freshman from South Milwaukee, Wis., raced to second place in 33:03.62. Grinnell’s Adam Dalton won the event in 32:46.06. Lawrence’s other rookie runner in the race, Ben Schaefer, took seventh in 33:54.11. The Vikings had two other placewinners on the day, as senior Cam Davies took seventh in the 1,500 in 4:08.37 and Wautoma native Wes Hetcher was seventh in the pole vault at 12 feet, 5.5 inches. The bulk of the competition takes place on Saturday. Lawrence’s Teddy Kortenhof clears a barrier on his way to winning the 3,000-meter steeplechase at Saturday’s Viking Invitational at Whiting Field. 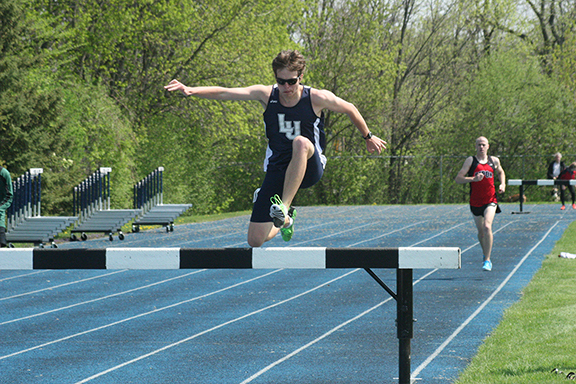 APPLETON, Wis. — The Lawrence University track teams won multiple events at Saturday’s Viking Invitational at Whiting Field. The most exciting victory for the Vikings came in the women’s 4×400-meter relay. Running the anchor leg, Lawrence’s Amy Hutchings made up about 20 meters and overtook the St. Norbert College team to take first place in 4:26.40. Hayley Cardinal also was a winner for the Vikings as she took first in the 400 hurdles in 1:07.11. Lawrence’s Dan Sandacz took first in the 400 hurdles on the men’s side in 59.29 seconds. Sandacz also grabbed second in the 110 hurdles in 16.64 seconds. Lawrence swept the top two spots in the men’s 5,000. Max Edwards took first for the Vikings in 16:23.96, and Ben Schaefer was second in 16:31.96. Teddy Kortenhof grabbed the top spot in the 3,000 steeplechase in 10:40.51, and Wes Hetcher took first in the pole vault with a height of 12 feet 7.5 inches. St. Norbert took both of the team titles, with the women scoring 119 points and the men had 80. The Lawrence women were second with 27, and the Lawrence men were third with 46. DE PERE, Wis. — Lawrence University’s Jordan Atkins won the 3,000-meter steeplechase Saturday to pace the Vikings at the St. Norbert College Invitational at Schneider Stadium. Atkins won the steeplechase title with a time of 10:24.40 to easily top second-place finisher Daniel Sikora of UW-Stevens Point, who was the runner-up in 10:38.82. Lawrence’s Teddy Kortenof was fourth in 10:43.55 and Alec Timpe was fifth in 10:47.34. The Lawrence men finished sixth in the team standings with 62 points. UW-Stevens Point won the title with 202. The Lawrence women were fifth with 33 points, and St. Norbert won the title with 202.5. Max Stahl grabbed second for Lawrence in the javelin with a toss of 46.59 meters. Mayan Essak raced to third in the 800 in 2:03.80. 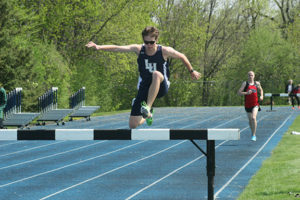 Dan Sandacz grabbed third in the 400 hurdles in 59.14 seconds and placed fifth in the 110 hurdles in 16.26 seconds. The men’s 4×400 relay was third in 3:33.20. The women’s 4×400 relay team took second in 4:25.74 as Concordia (Wis.) grabbed first in 4:14.73. Isy Schleisner was the top individual finisher on the women’s side as she took third in the 800 meters in 2:37.08.